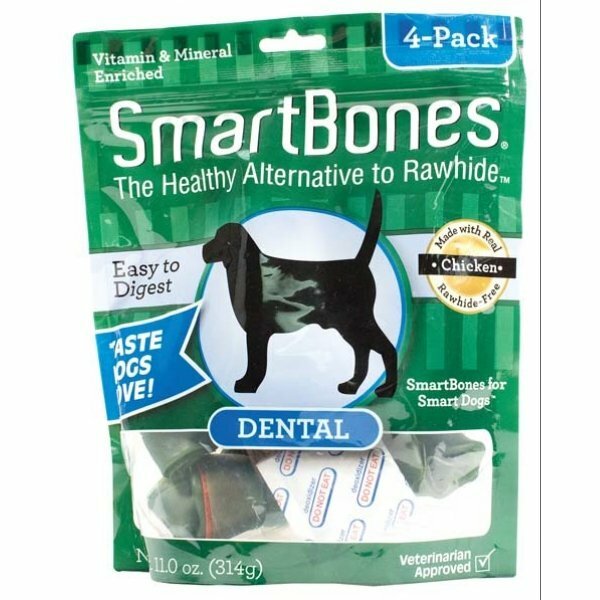 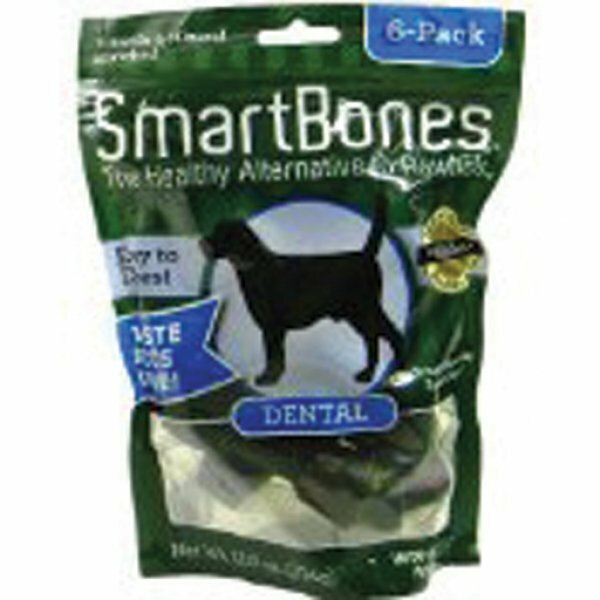 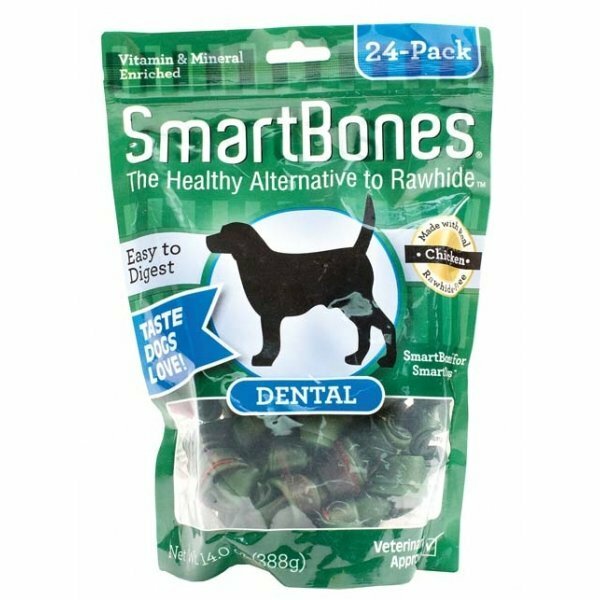 Smartbones Dental Dog Treats has different options and/or variations, please choose below. 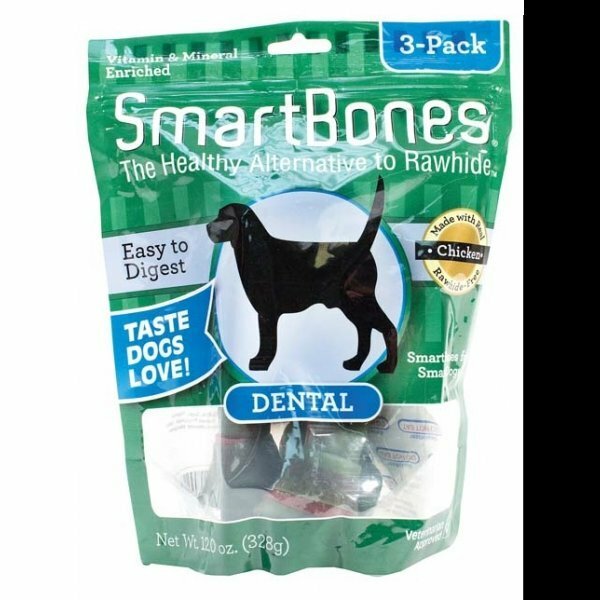 99 percent digestible. 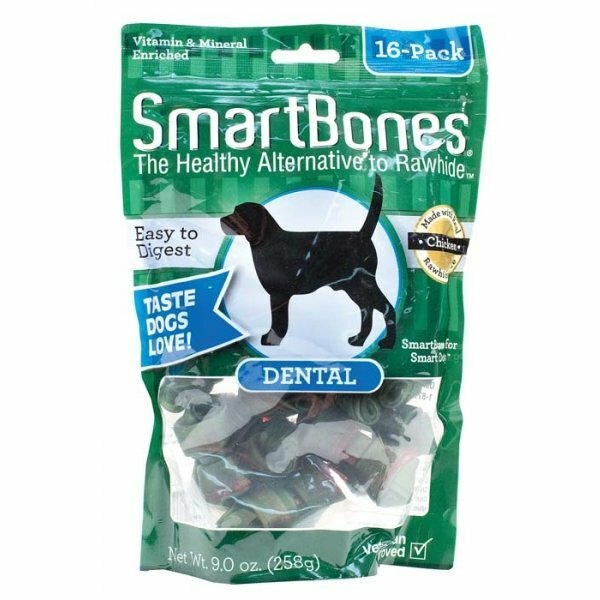 100 percent delicious.Corn Starch, Chicken, Sorbitol, Glycerin, Fructose, Gelatin, Barley, Malt Syrup, Isomaltose Hypgather, Salt, Ferrous Sulfate, Sugar, Titanium Dioxide, Zinc Sulfate, Milk Flavor, Niacin, (Niacinamide) Xanthan Gum, Potassium Sorbate, Etc.